APX6000 APX7000 APX8000 SRX2200. Short and non-obtrusive, stubby antennas are ideal when the radio is worn on a belt. XTS2500XTS3000 XTS3500 XTS5000 MTS2000 MT2000 JT1000. VHF Antenna For motorola Radios Walkie Talkies. Compatible Motorola Models. Radio Shack: 23-021, 23021, 5SN-AAA70H-SV-P, 5SNAAA70HSVP -----. Interstate Batteries: ARAD0056. Hi-tech: 5R-US, 5RUS. Empire: FRS-005-NH, FRS005NH. Dantona: COM-5R, COM5R. NAE6522 Stubby UHF Antenna For Motorola Radio. CT150 CT250 CT450 CP040 CP140 CP150 CP160 CP180 CP185 CP190 CP200. GP68 GP88 GP88S GP140 GP280 GP300 GP320 GP328 GP330 GP338 GP340 GP344. PRO1150 PRO2150 PRO3150 PRO5150 PRO7150. 1 x Original TYT UV 8000D 8000E 7.2V 3600mAh Li-ion Battery. TYT 9600D Dual Band DMR. TYT TH-UV8000D， TYT UV-8000E. Two-way Radio. Portable AM/FM Radio. with FM Radio. New Radio Amplifier with DMR or Analog Version. HT750 HT1250 HT1550 CP150 CP185 CP200 CP200XLS CP200D P110 P1225 GP300 SP50 CT150 CT250 CT450. New stubby VHF 136-174mhz MX antenna. Stubby antennas are ideal when the radio is worn on the belt as they are short and unobtrusive. XPR 7000 and XPR 3000 series stubby antennas provide improved range and performance over XPR 6000 series stubby antennas. VX168 VX170 VX177 VX180 VX210 VX228 VX230. Compatible with :Vertex Standard. 400-470MHz (UHF ). VX418 VX420 VX424 VX427 VX428 VX429 VX450 VX600. VX300 VX350 VX351 VX354 VX400 VX410 VX414 VX417. HT1000 JT1000 PR1500. XTS1500 XTS2500 XTS3000 XTS3500 XTS5000. MT1500 MT2000 MTS2000. SMA Stubby Antenna. 1x NAE6546Motorola Antenna. Antenna Type. (can't fit motorola analog Saber I II III ,fit digital Saber). Radioddity RD-771 SMA-Female Dual Band U/VHF 144/430Mhz Antenna for Baofeng TYT. 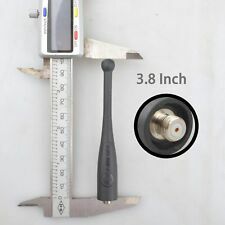 Radioddity RD-771 SMA-Female Dual Band Handheld Antenna. 1x Radioddity RD-771 High Gain Antenna. Baofeng BF-88A/88E. Baofeng handheld Radio: UV-5R/5RTP(All models), UV6R, GT-1, GT-3/3TP/3WP, GT-5/5TP, BF-9700, BF-F8HP, BF-F8 , BF-F9 TP, BF-888S, UV-82 (Series All. ). 47cm Tactical Foldable SMA-Female Dual Band Antenna for Kenwood Baofeng Linton Radios. For BAOFENG - Band: UHF VHF Dual Band 144/430MHz. - It is widely used by military, police, radio amateur and so on. TK360 TK370 TK372 TK380 TK390. 400-520 MHz (UHF ). TK3300 TK3302 TK3303 TK3306 TK3307 TK3312 TK3360. TK3200 TK3202 TK3203 TK3206 TK3207 TK3212 TK3260. TK3140 TK3160 TK3170 TK3173 TK3180. APX6000 APX6000XE APX7000 APX8000 APX8000XE. APX1000 APX2000 APX30000 APX4000 APX5000. Compatible with Motorola Models DP3400 DP3401 DP3600 DP3601 DGP4150 DGP6150. MTX8000 MTX800 MTX8250 MTX8250·LS MTX838 MTX850 MTX850·LS. XTS 1500 XTS 5000 XTS 3500 XTS 2500 XTS3000. MT2000 MTS2000 MTX·LS. Style: Stubby. Compatible Motorola Models Impedance: 50 ohm. APX1000 APX2000 APX3000 APX4000. 1x NAR6595AMotorola Antenna. Antenna Type. XTS1500 XTS2500 XTS3000 XTS3500 XTS5000. SRX2200 XPR6380 XPR6580 XPR7380 XPR7580. TK5310 TK5320. TK3300 TK3302 TK3303 TK3306 TK3307 TK3312 TK3360. TK360 TK370 TK372 TK380 TK390. TK3200 TK3202 TK3203 TK3206 TK3207 TK3212 TK3260. Stubby UHF Antenna. Compat ible with :Kenwood. ▶▶▶ NMO Magnetic Mount With MINI Connector. 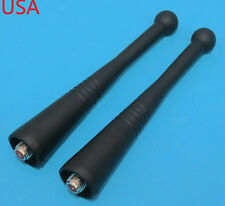 ▶▶▶ 39CM VH F 136-155MHz Antenna（This antenna is made of TPU imported from Germany. BAOFENG: BF-666S, BF-777S, BF-888S, BF-320, BF-480, BF-490, BF-V6, BF-V8, BF-388A, BF-UV5R, BF-UV5RA, BF-UV5RB, BF-UV5RC, BF-UV5RD, BF-UV5RE, BF-UV5REPlus, BF-UV82, BF-UVB5 B6. Band: Single band UHF. Connector: SMA Female. CP110 EP150 XTNI A10. RDU2020 RDV2020 RDU4100 RDV5100. UHF Stubby antennas.